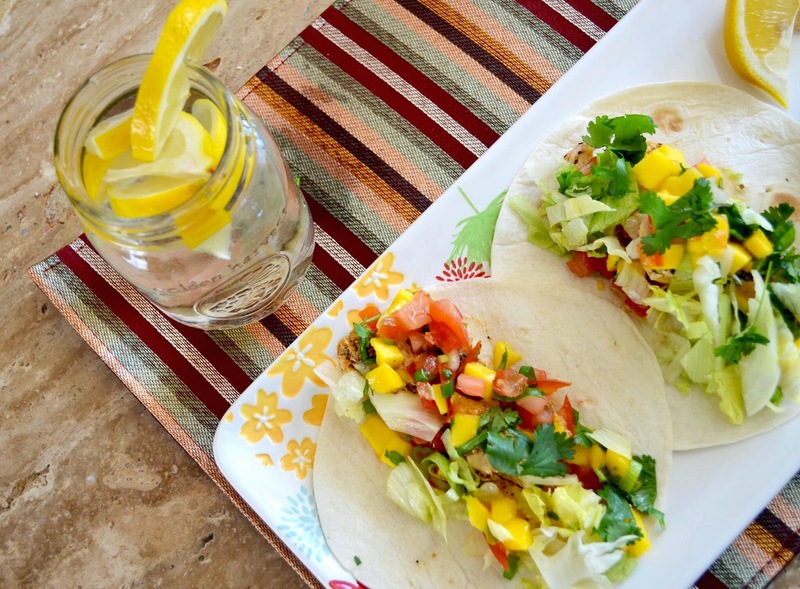 This quick and tasty taco recipe I created got me so excited for summer! 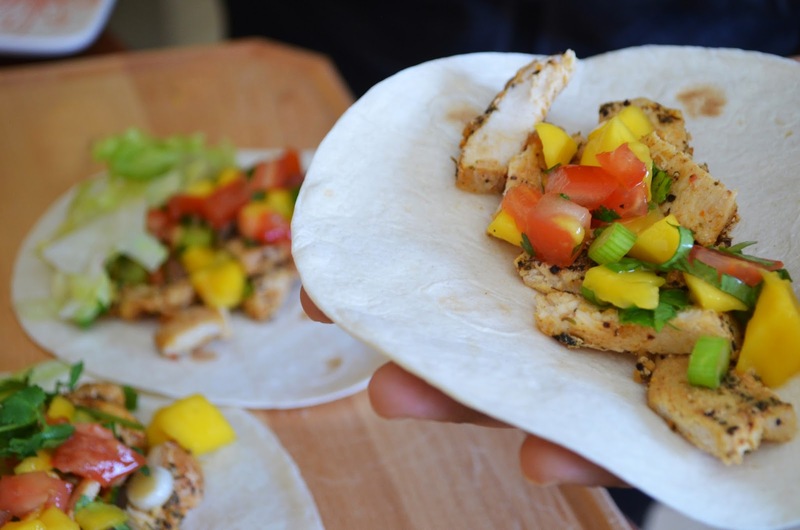 In collaboration with Stokes and their lifestyle blog Stokes Saturdays, we bring you a recipe the whole family can enjoy! 1. 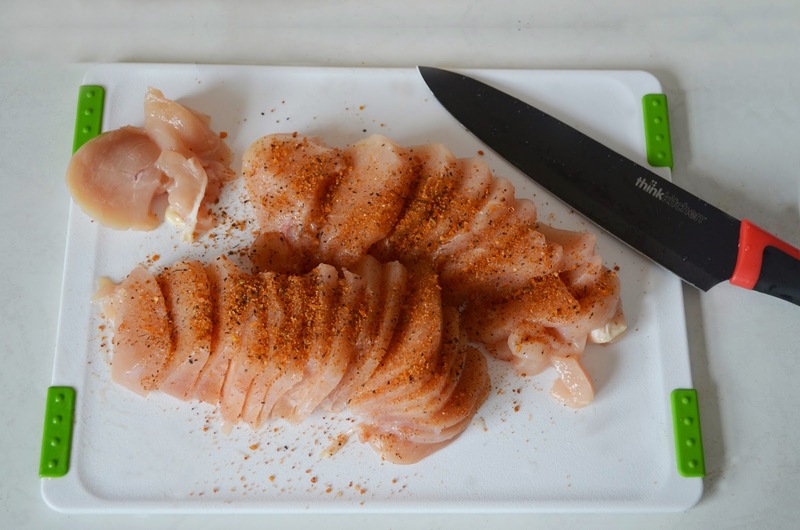 Slice partially thawed chicken breast into thin pieces (1/4 inch) and coat with chicken seasoning. 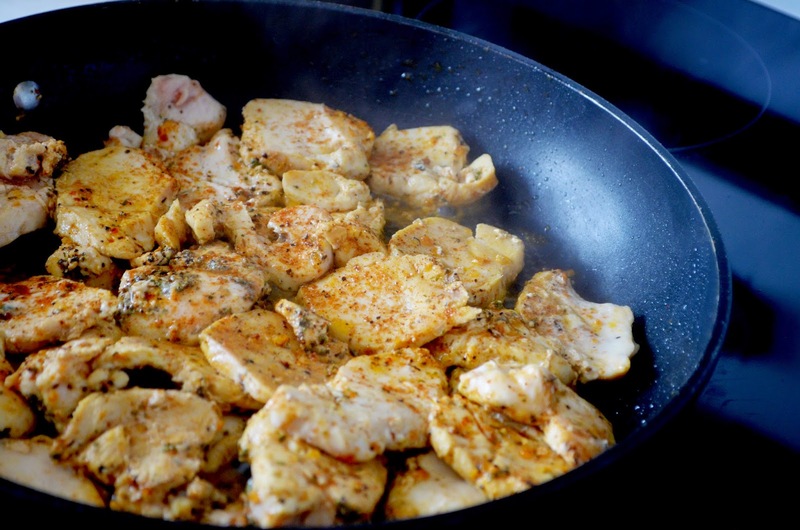 Add olive oil to a pan and add chicken once the pan is at medium heat. 2. 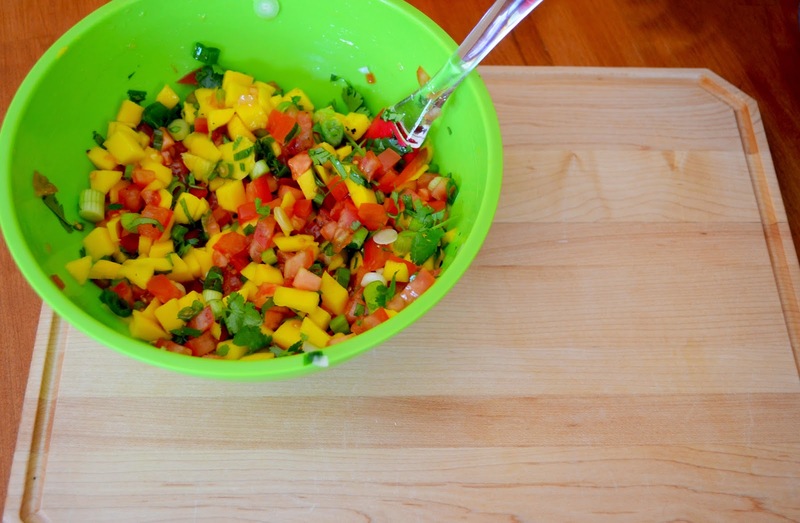 Dice mangos, tomatoes, shallots and set into bowls. 3. 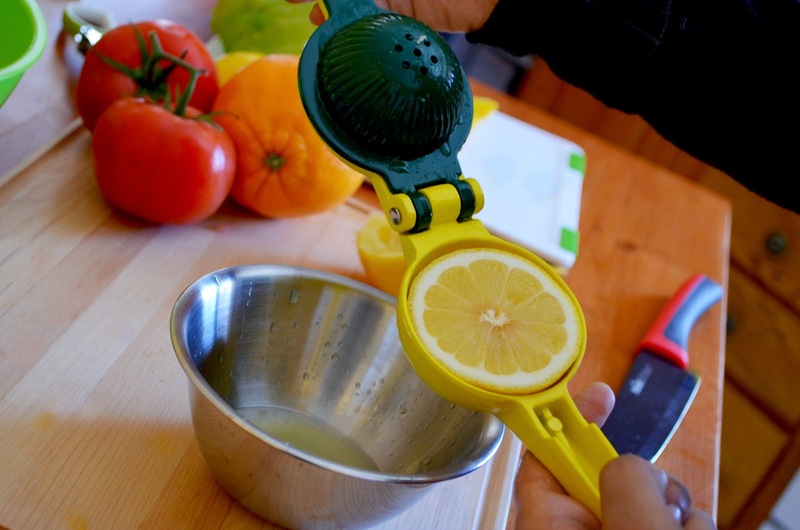 Use the lemon and lime squeezer on the lemons and clementine and set the juice aside in a small bowl. 4. 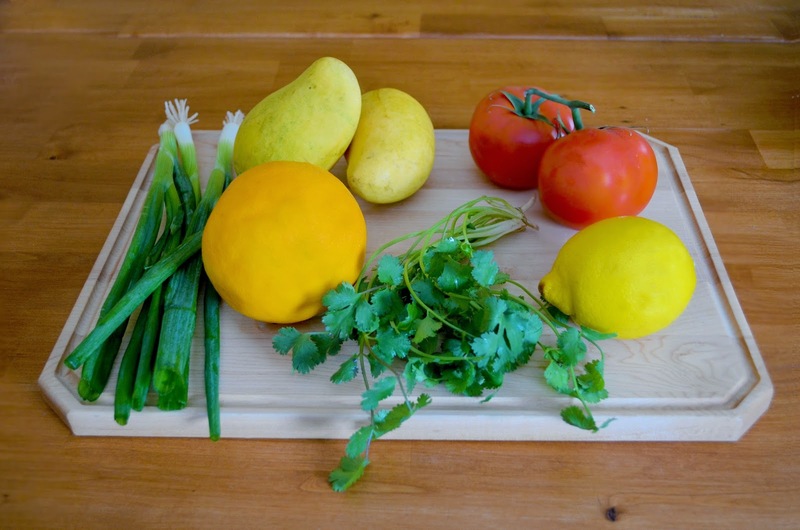 Chop cilantro with the 5 blade herb scissors. 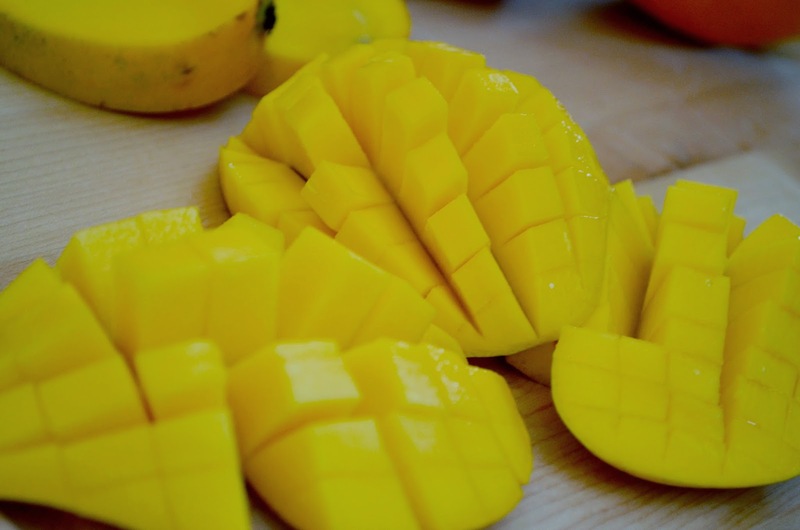 Mix mangos, tomatoes, shallots and cilantro, pour in the lemon-orange juice, mix again and let sit for at least 5-10 minutes. 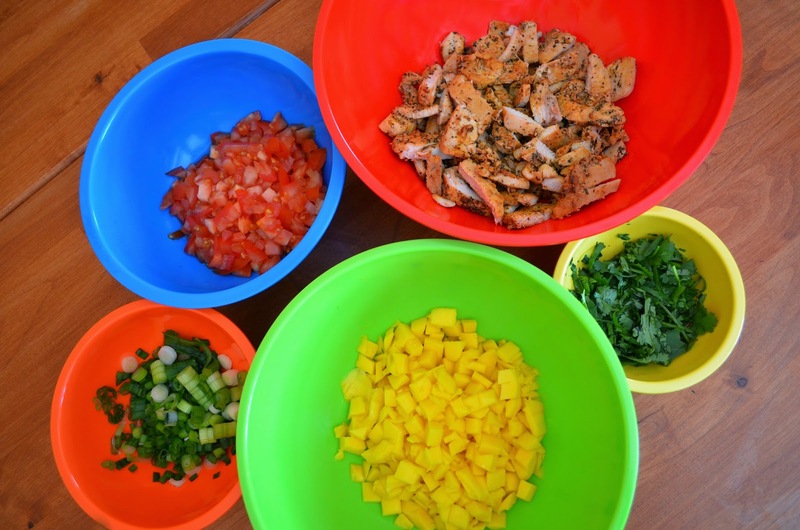 Chop lettuce and set into a separate bowl. 5. 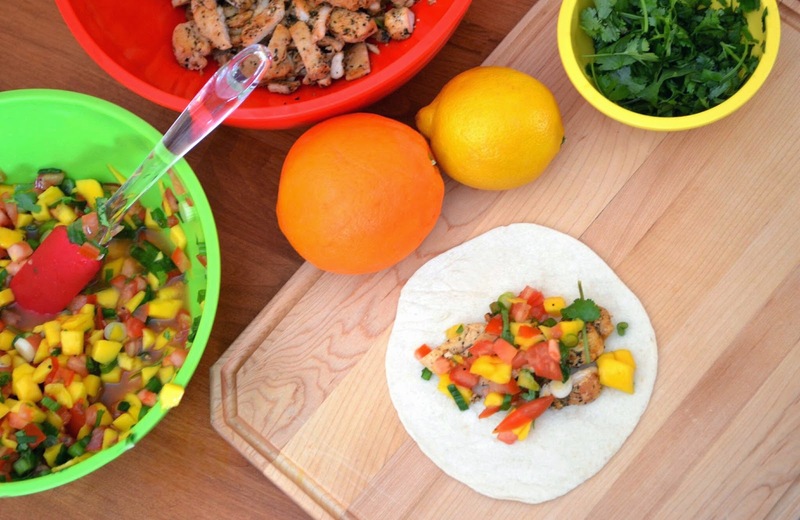 Once the chicken is cooked, build your tacos with heated tortillas, seasoned chicken, lettuce, mango salsa and top with extra cilantro, if desired.